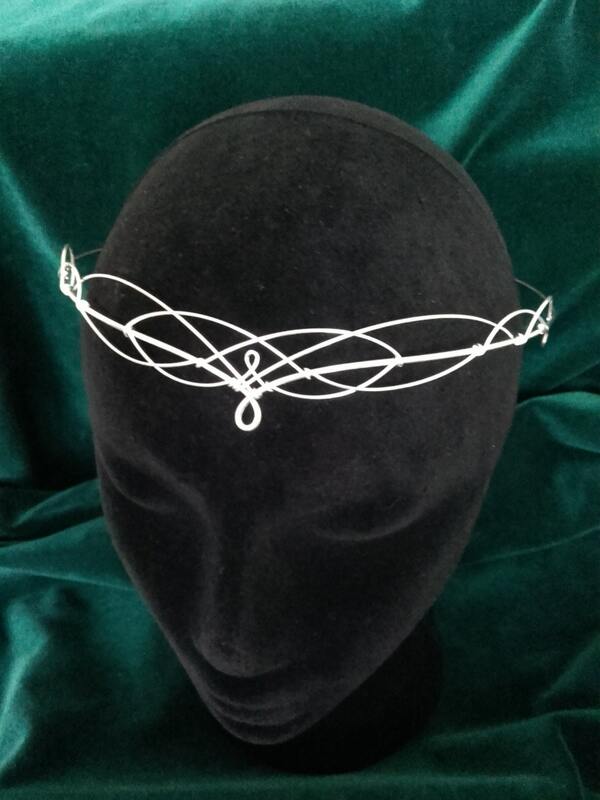 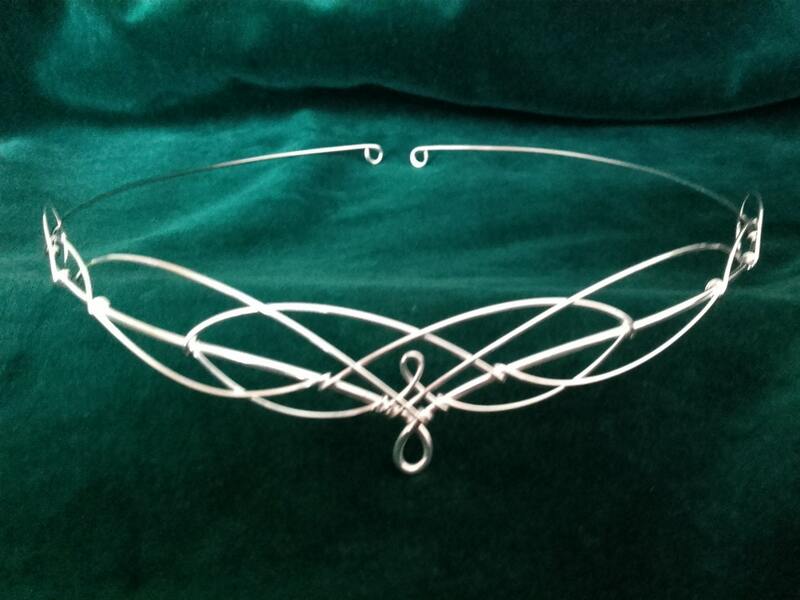 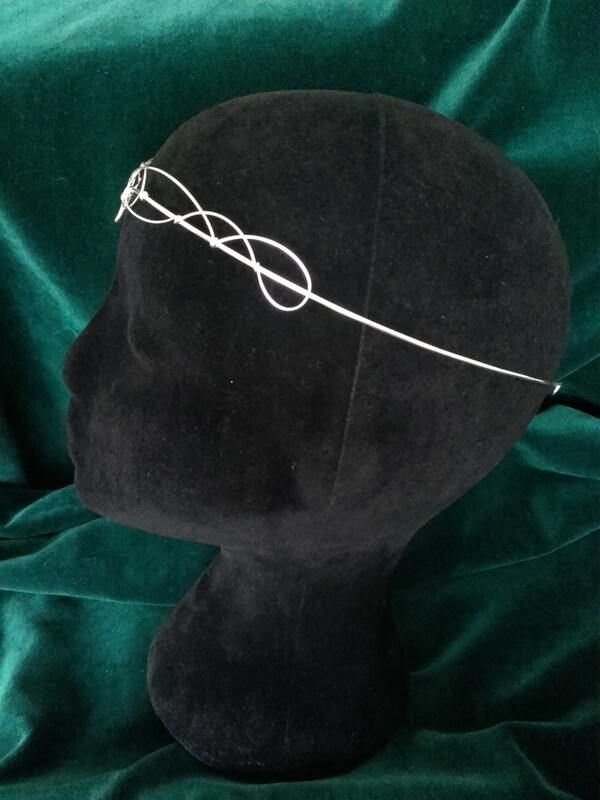 The design element of the circlet measures 23cms (9 inches) across and 2.5cms (1 inch) from top to bottom at the centre. 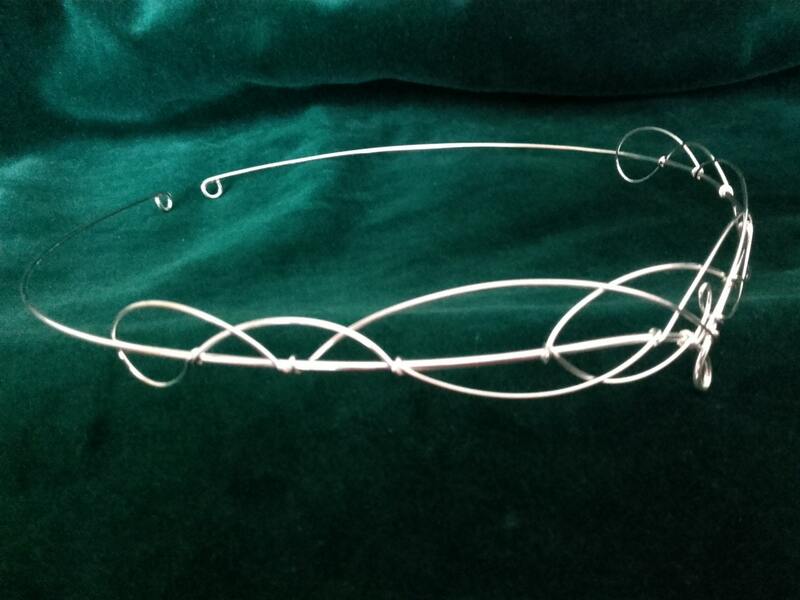 The full circumference of the circlet is 52.5cms (20 and three quarter inches). 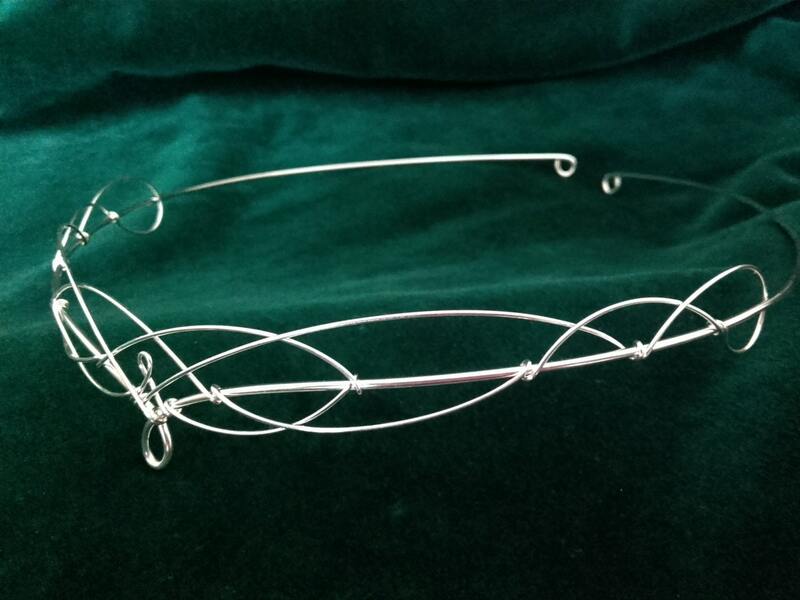 Loving it even more than I thought I would, thank you!